The region around the old border- and trading town of Aswan in Upper Egypt features one of the world’s most prominent ancient quarry landscapes. It covers an area of some 100 square kilometres on both banks of the Nile from the Old Aswan Dam in the south to Wadi Kubbaniya in the north. 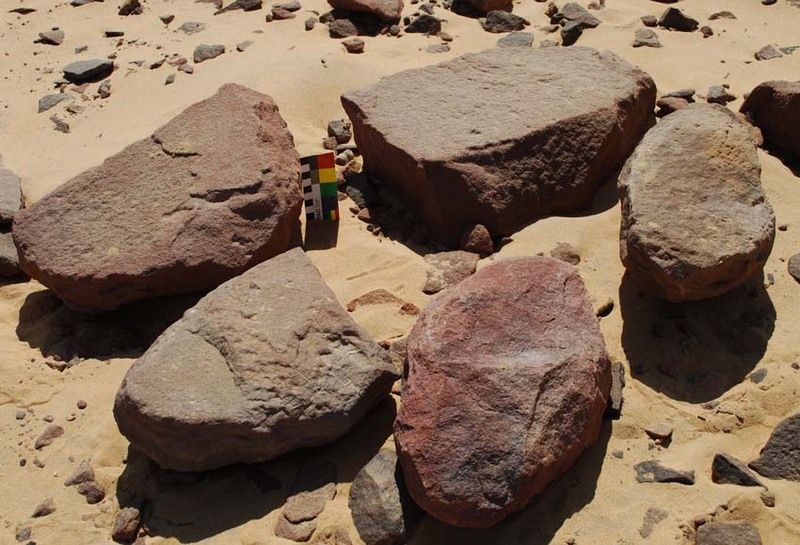 Within this region are the famous Aswan granite quarries, less well-known ornamental silicified sandstone quarries, recently discovered extensive grinding stone quarries and Palaeolithic tool quarries, as well as building stone quarries in Nubian sandstone. I have recently updated my website to include information about a very significant part of this quarry landscape; at Gharb Aswan just across the Nile from modern Aswan. Information not only includes ancient quarries, but also a range of other exciting archaeological sites and features. Please see Gharb Aswan archaeology. This entry was posted in Ancient Egypt, Archaeology, Old quarries, Rock art and tagged Aswan, Gharb Aswan, grinding stone, Nubia, quarry, rock art. Bookmark the permalink.